Found a box of these at local Home Depot. 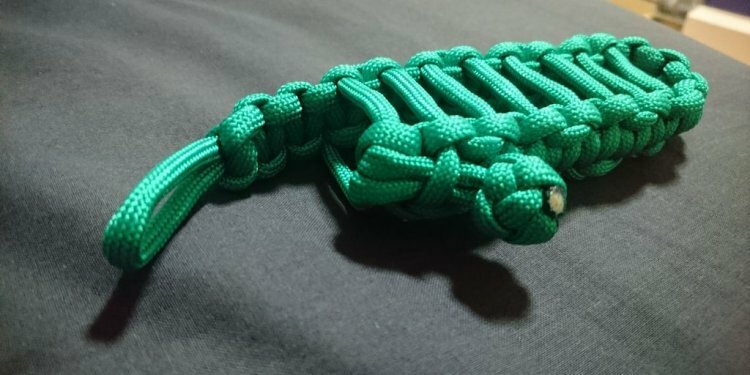 Purchased 4 of them for Christmas Gifts for my son and his friends last year..(All Border Patrol Agents) Have been consistently asked where I got these from. This item VERY POPULAR with these hard working group of Agents. Thanks Gerber! The tool is of great quality. It came in very handy during a transport one day. One of the individuals being transported complained of chest pains and collapsed out of his seat. The strap cutter was used to cut off his outer garments so the AED could be applied. The simplicity of use and the quality of the product. I believe helped save that persons life. Great tool. I was looking for a small tool that could open electrical boxes at work without resulting to a tool box. This tool fits the bill. It also will do many chores around the house and shop. It's become my go to tool after replacing larger more bulky tools that require pouches. It locks up tight and the blade is easy open. The clip holds the tool securly. The strap cutter can even be used to open beer bottles. Good tool guys. I EDC it daily. Love the black version, so light you don't even notice it. I was given one as a gift, and really was liking the heavy blade-quick blade lock every time, great for opening heavy boxes, cutting cord and rope, etc.. I had opened the pliers only a couple of times, but weeks later, when I tried to open them and use them, the pliers started to open and then jammed and were locked closed - wouldn't budge, like a piece of metal had moved in and jammed the pivot joint. I sent them in, and in a few weeks, a new pair arrived. Faster turn-around than I expected. I opened the package, and found the plier joint is loose and the jaws wobble. But worse than that is the knife blade and the strap cutter blade. They don't lock open very reliably. I have to open them hard then they will lock most of the time. But not when I expect them to open and lock - they will fold in on my hand. Not like the first Crucial tool I had. No cuts. I don't use the tool now, Need to send it in and see if the third time is the charm. Great tool. Use it everyday will not go back to a simple knife. Great tool.it's got everything you need the knife is razor sharp so is the belt cutter. It's compact and awesome to use. Best multi tool ever. Just got one after a customer did not return my previous multi tool I had. I have nothing bad to say about it. I like the strap cutter the Knife is 5 star. comfort grip. I use it everyday at work. I will not lend this one out it's a keeper. I have used mine for about a year. The locking blade is rock solid. The narrow/thin pliers have allowed me to work in tight spaces on my motorcycle. Suggestion.Make an "XL", larger/longer version. Same features, just bigger. A spring loaded pliers would be great.